Contributed by Guest Blogger Neha Manchanda. This Restaurant has not yet been visited by YUMMRAJ. 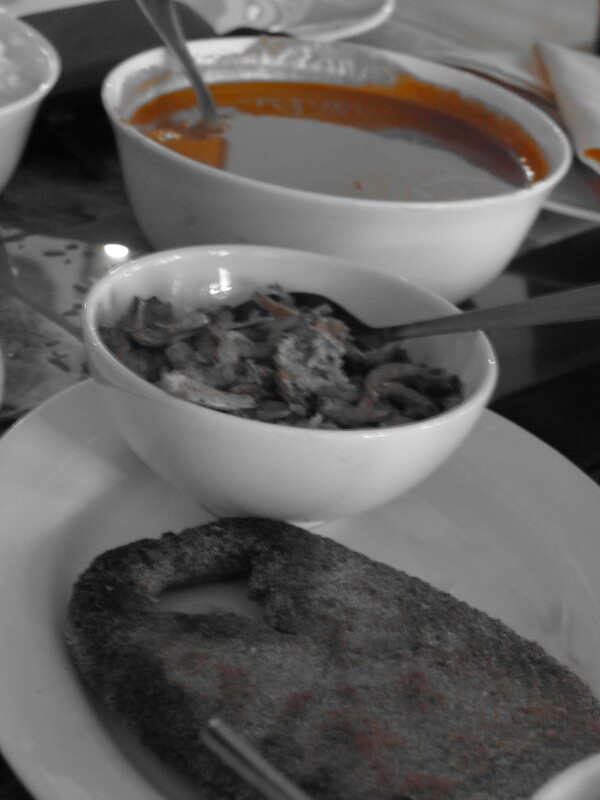 Goa is not only famous for its pristine beaches but also for its Goan delicacies. Ideally Goa should be made the food capital of India. The variety of food is just mind boggling. I think next time I am going to go to Goa after a good 2 weeks of fasting, so that I can hog into the variety of food. Upper House is a famous restaurant in North Goa. Based in Panjim, Upper House offer a variety of Goa delicacies to suit your palate. Be it the butter garlic pompret or the traditional Goa fish curry or the very brilliant and appetizing stuffed crab. The Goan fish curry is a combo meal where you have the aromatic fish curry in coconut paste, rice and a huge slice of fried fish with 2 side dishes – coconut and shrimp salad and butter garlic cabbage. The mild flavor of the coconut makes the fish curry appetizing and absolutely delicious. The grilled Pomphret is fresh with mild flavours of butter and garlic. Vegetables like cauliflower, carrots and beans are sautéed in butter and garlic to bring a consistency and color to the dish. add to the color of the dish. 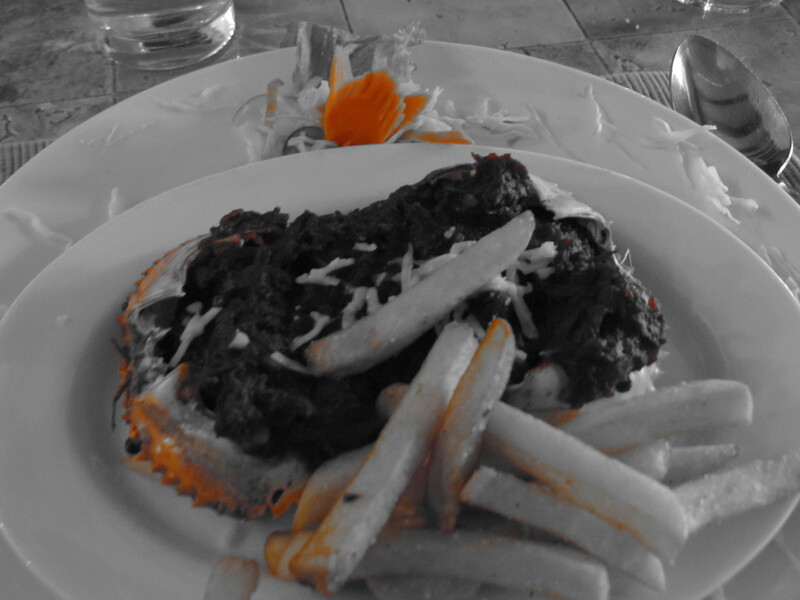 Beef Fry is umm, how should I put it….heavenly I guess! Tender beef chunks served with caramelized onions and capsicum serve as a perfect appetizer. 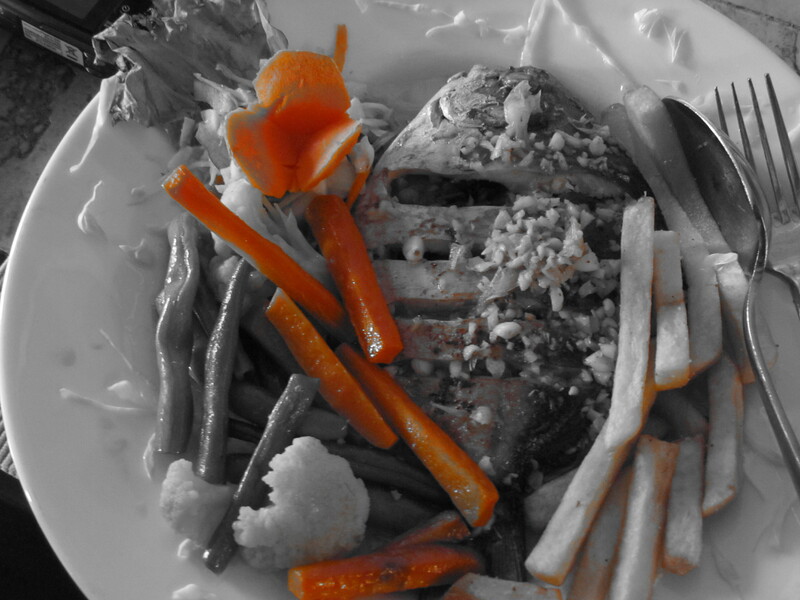 Food is simply brilliant…the ambience reminds you of the Portuguese lifestyle, bright and welcoming.